Pablo Landázuri’s ordination marked the conclusion of one chapter in his life and the beginning of another. That great task is bringing the Reformed faith to the people in Pablo’s native country of Ecuador, where Pablo and his family hope to return in June. The consistory of Covenant Reformed Church in Pella, IA, has called Rev. Landázuri as an Associate Pastor to serve as a Minister of the Word and Sacraments and church planter in Ecuador. His ordination and installation service was held in the church on Friday, April 25, 2014. Rev. Mark Vander Hart, Associate Professor of Old Testament Studies at Mid-America Reformed Seminary in Dyer, IN, preached from 1 Timothy 3:1-7 on “Noble Men May Desire a Noble Task.” He noted how Paul stresses personal Christian qualities for those who aspire to lead the church, and pointed out that these qualities should be manifest in any believer striving to grow in grace and knowledge of the Lord. Rev. Vander Hart also read the Form for Ordination and called the elders of Covenant and other ordained ministers forward for the laying on of hands. Rev. Todd Joling, pastor of Faith United Reformed Church in Beecher, IL, gave the charge to the minister from 2 Timothy 4:1-5. He encouraged Pablo to fulfill his ministerial calling as Christ prescribed: remembering the weighty motivation (a servant answerable to God), the mandate or main task (preaching the Word), and the appropriate manner (with persistence and patience). Rev. Doug Barnes, Covenant Reformed Church in Pella, presented the charge to the congregation from 2 Thessalonians 3:1-5, urging the audience to pray for the ministry in Ecuador. 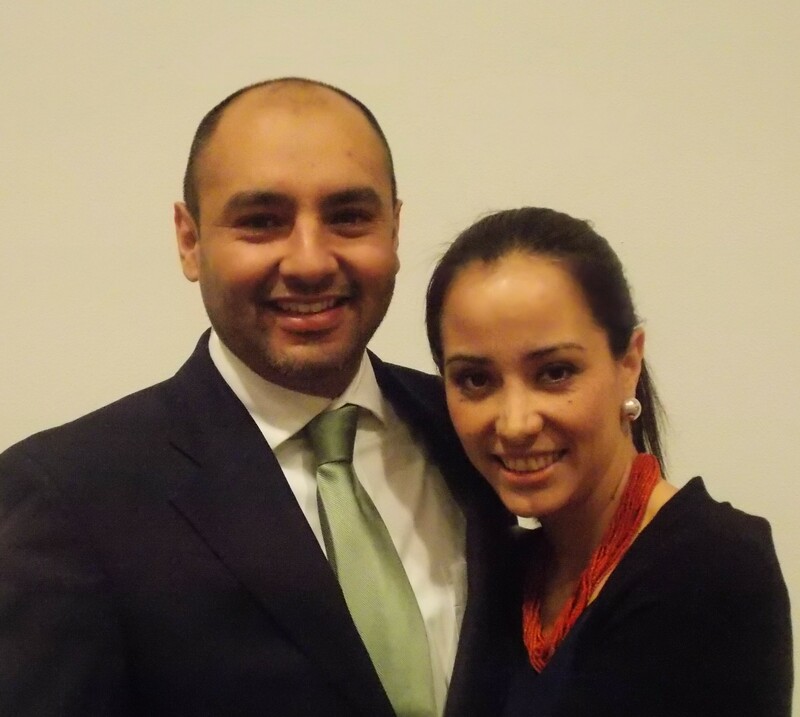 While Pablo attended Mid-America Reformed Seminary, he was under the care of the consistory at Faith URC in Beecher, IL, and assisted with a church plant among the Hispanic population of Chicago Heights. Following Pablo’s graduation from Mid-America in May of 2013, he and his family moved to Pella, IA, where he has served the last year as a pastoral intern. During this time, the church’s Missions Committee and Consistory have developed a Joint Venture Agreement for sponsoring Pablo’s ministry and church planting efforts in Ecuador. Among those traveling to Pella, IA, for the ordination service were Pablo’s parents and his pastor, Rev. Donoso. Speaking after the worship service the following Sunday, Rev. Donoso grew emotional as he explained how he and his small congregation had prayed for assistance and God had provided Pablo. When the doors opened for Pablo to attend Mid-America Reformed Seminary, Rev. Donoso wondered if God would choose to put Pablo’s gifts to work elsewhere and he feared Pablo wouldn’t return to Quito. Rev. Donoso rejoices to know that, as he approaches retirement, Rev. 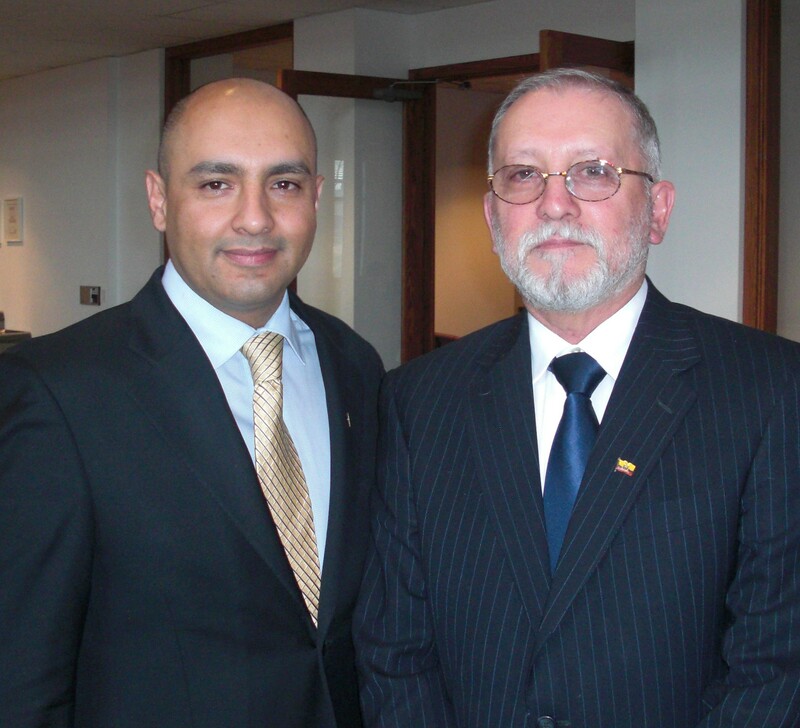 Landázuri will continue ministering to the fledgling congregation and proclaiming the Reformed faith in Ecuador. The above article by Glenda Mathes appeared on pages 12-13 of the Mary 28, 2014, issue of Christian Renewal.